The Sketchy Reader: I Saw It on Pinterest and Did It! I hope you will join Caroline for her I Saw It on Pinterest and Did It! Party. Here is a link for more information. Very nice! I especially like the ribbons. 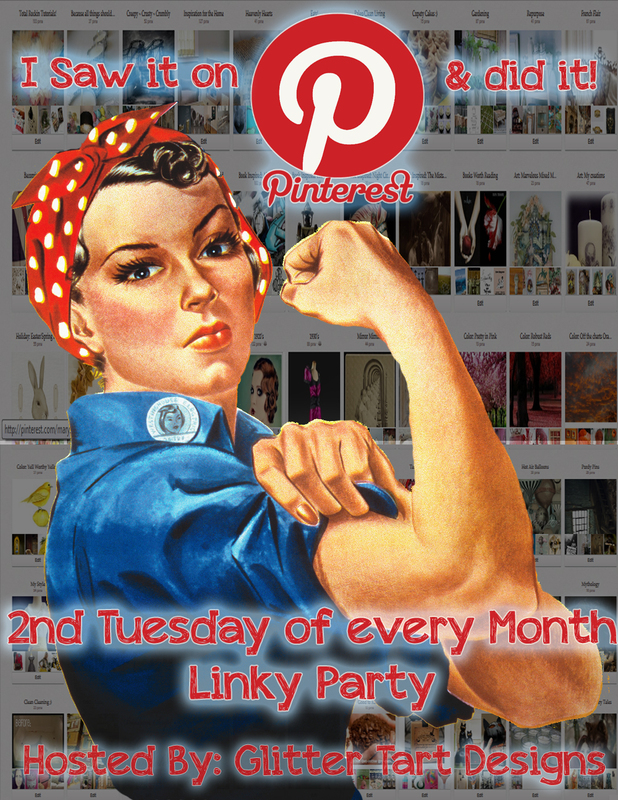 This sounds like a fun linky party. What would we be without Pinterest! Love it! You did a wonderful job recreating it and making it into your own. Thanks so much for playing along it is so nice to know that I've come up with something fun that others like. Sweet! I keep making and baking things that I see on Pinterest....does that count, or is it only crafts? Very cute. Love it. Gosh I miss Pinterest, I just have not had any time. Ricki Jill~ Sounds like a fun party! 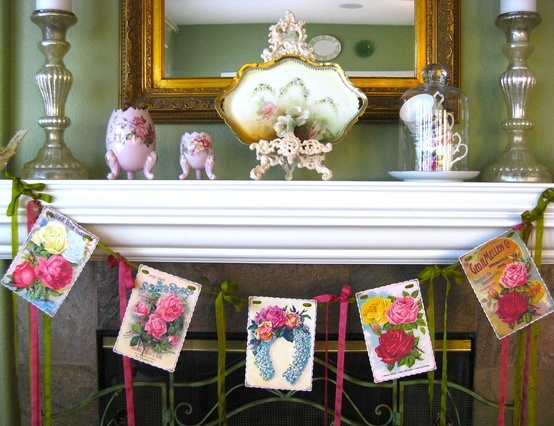 Your vintage Valentine banner is adorable and your MC tiles in your mantle are wonderful! Hi Ricki Jill, Your banner turned out so cute! Thanks for sharing info about the party.